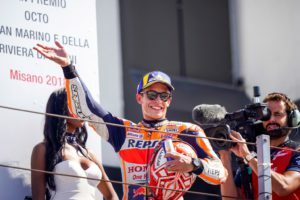 Marc Marquez was second in the San Marino Grand prix – that was his tenth podium this season as well as his sixth top 3 classification in a row for the first time since 2014. Marquez also equalled Mike Hailwood with the 7th most podiums across all classes. 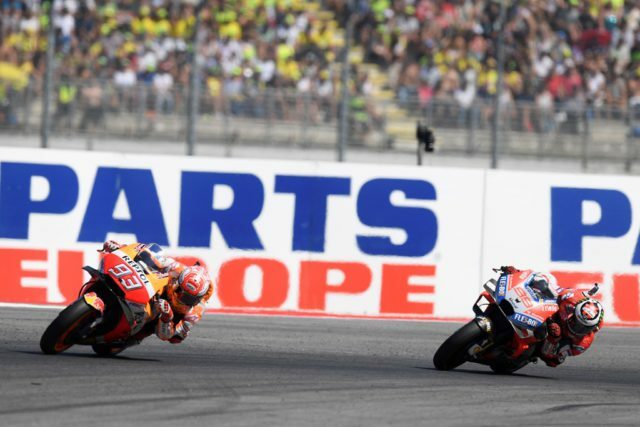 He extended his lead in the MotoGP overall standings to 67 points over new runner-up and winner at Misano Andrea Dovizioso. 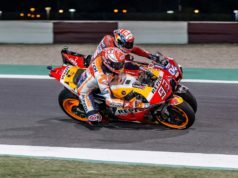 Currently, Honda also leads the Constructors World Championship and the Repsol Honda Team tops the Teams World Championship. “We’re very happy with this podium because we knew that at this track Ducati would be very fast and actually they were!”, Marquez said. #MotoGP launch off the line at the #SanMarinoGP ? Starting from eleventh on the grid, Dani Pedrosa took a positive sixth place, though not yet the result he is looking for. “That was the best outcome for the weekend and so we must take the positives from it, but of course it’s not enough because we’re still far from where we want to be. 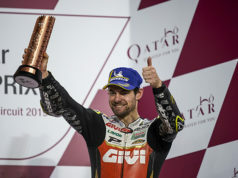 I tried to stick to Maverick [Vinales] and to get closer to [Alex] Rins but I wasn’t able to. We need to work on our bike’s setup in order to get closer to the pace of the front group”, Pedrosa explained. 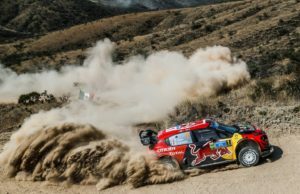 Lappi takes first WRC victory – in Finland!